What Was the Rainbow Coalition? Pictured above is the flyer found at the Schomburg Center for Research in Black Culture for the Rainbow Coalition of the Black Panther Party which was established by the deputy chairman, Fred Hampton who is seated in the center. The Rainbow Coalition was comprised of the Black Panther Party, The Young Lords Organization, and the Young Patriots (1). 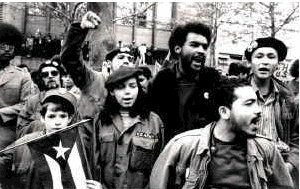 The Young Lords were an organization that was constructed to address the immediate concerns of Puerto Ricans in America, while the Young Patriots were a group that was designed to support young white migrants in their quest to find jobs and a quality income within the city of Chicago. They were later joined by Rising Up Angry, which was a radical group of youth (also in Chicago), who orchestrated a class based movement in Chicago for blue-collar workers. As one could imagine, bringing together individuals not under the auspice of race, but more importantly class, and forging a connection that vowed to end class based oppression for working class blacks, whites, Puerto Ricans, and youth made the Rainbow Coalition an early target of the FBI, as their agenda would have been extremely dangerous and detrimental for the agenda of white supremacy. Why was the Rainbow Coalition so Dangerous? Historically speaking, the Rainbow Coalition segment of the Black Panther Party was extremely similar to the Populist Party. The Populist Party was designed by working class farmers and the disenfranchised of all races to form a party (or coalition) against the wealthy bankers, corporations, and politicians (2). The Populist Party was a threat to the sustained American way of life, and it was dismantled after Plessy v. Ferguson, that essentially split the country among racial lines once again. The organization of the Rainbow Coalition was no different, yet the dismantling of the said group (in this particular context, the Rainbow Coalition would live on, but not in the same way) proved to be much more violent. Perhaps a theory as to why Fred Hampton was violently penetrated and murdered in his home, was because he was the face of the Black Panther Party (and Rainbow Coalition for that matter), which is why the FBI was much more vicious in carrying out his execution without much warning or remorse, as the police have been historically known to do when interacting with African-Americans (3). 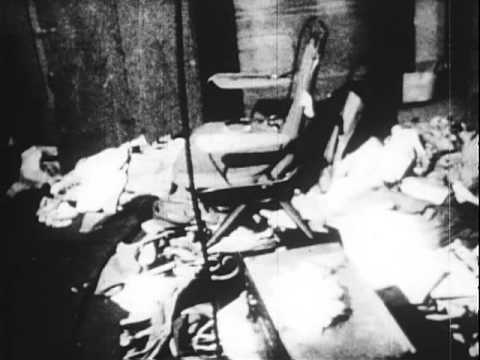 Below a photo can be seen of police officers smiling as they remove the corpse of Fred Hampton from his home. However, this still doesn’t get to the root of the issue. Why was the Rainbow Coalition so dangerous to white supremacy? Coupling poor and working class whites, with minority groups is a threat to the American way of life. There are power in numbers and the elite, though they hold the majority of the wealth and power within the country, they don’t hold the majority of the numbers, which is why an organization with the demographics and socioeconomic background of the Rainbow Coalition was a threat to the way the country functioned, which is why it had to be dismantled at all cost. What were the goals of the Rainbow Coalition as opposed to the dominant narrative of White America? The FBI didn’t see it this way. Instead, they wanted to deal with the organizations separately. For them, the Young Lords were not empowering the Puerto Rican community, for them, they were a gang. The FBI didn’t acknowledge the free breakfast program, nor did they recognize that the Black Panthers advocated for self-defense, as opposed to sheer violence. Instead, they saw the Black Panthers as a militant group of blacks that had to be stopped in order to preserve the cultural context of America. This particular phenomenon can be analyzed even even the current political and cultural context of the country today. The mission of the organization is not what scared white America. What scared White America was the challenge that the Black Panthers presented to White Authority. We couldn’t imagine an organization today pulling over behind police officers when someone of the same race was also pulled over armed with guns, almost inviting officers to act inappropriately. For white supremacy, this was an organization and a time to fear. What Happened to the Rainbow Coalition after the death of Fred Hampton? After the death of Fred Hampton, the Rainbow Coalition continued to be force within the political climate of Chicago, running several political candidates, and eventually landing a representative into the mayoral office, which led to what scholars have deemed as the “Rainbow Cabinet.” This cabinet was comprised of individuals who had been historically marginalized in Chicago, and gave them positions of power that would have been inaccessible otherwise. The election of Harold Washington had implications that inspired individuals who previously had no knowledge or connection to the Rainbow Coalition (4). Soon, the Rainbow Coalition, though it had been compartmentalized within a geographical context, was soon thrust into the national spotlight through Jesse Jackson. 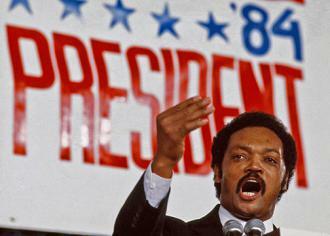 Jesse Jackson used his new platform (though he gives no credit to the Black Panther Party nor Harold Washington) as a way to directly oppose “Reaganomics,” and a way to advance his agenda (with hopes that it would align with progressive ideals) of social programs, affirmative action, and voting rights (5). In his speech at the 1984 Democratic National Convention entitled “The Rainbow Coalition” he called for all minority groups, in addition to those who identity with the LGBTQ to come together and form a “Rainbow Coalition” against the elite, who controlled the power structure of the country (6). Today, while Jesse Jackson has combined the Rainbow Coalition with Operation PUSH, there is now a flag coined as the Rainbow Flag, that resembles that of a natural rainbow. The Flag is seen as the official flag or symbol of the LGBTQ movement. The flag was originally designed by Gilbert Baker, and a few of them were flown at the “Gay Freedom Day” Parade in San Francisco in 1978 (7). Soon after, the Paramount Flag Company agreed to reproduce the flag in mass numbers. After the assassination of Mayor George Moscone in 1978, several months after the parade, the flag was flown from light poles, which subsequently led to the flag being flown from several homes and businesses within the San Francisco community moving into 1979 (7). Eventually, the flag would go on to become recognized as the official flag of the LGBTQ community. This sense of pride and unity that comes together under the “rainbow,” which essentially just means that we can bring our differences together to paint one single, beautiful picture is an ideal that has roots within the Black Panther Party, but can be seen in our society through various capacities today. Why is the Rainbow Coalition a forgotten aspect of the Black Panther Party? A large discontent with public education, particularly within the minority community is that much of the history of African-Americans (with a select few exceptions) has been eradicated (or never existed) from the social studies curriculum. Thus, unless independent research is done, organizations alike the Black Panther Party will never be discussed though their story is one that should be taught and told over and over again. The benefit of a site such as this is one is that it tells the same story, and paints an entire picture, but from different angles. Through this site, we can see that memory is indeed processual (8). This just means that memory is somewhat contingent upon who is retelling the story, as many Americans see the Black Panther Party from different lenses, which in large part has to do with how the FBI, media and government targeted the Black Panther Party. We can also see how memory is directly related to time. A site dedicated to the Black Panther Party could not, and would not have been an assigned project at the University 50 years ago, but through time, some of the discourse, has changed, which speaks to the time and space that has passed since the formulation of the party (9). Lastly, we can see that memory, such as in this particular sense can be seen as both usable, material and particular and universal as can be evidenced through this site. The reason why the Rainbow Coalition is not the first thing one hears about when referencing the Black Panther Party is because it contradicts much of what has been said about the organization. The discourse surrounding the Black Panther Party describes them as a militant organization that doesn’t like people who don’t share in their ethnicity though the Rainbow Coalition is direct caveat to the aforementioned claim. (1) James Tracy. The Original Rainbow Coalition. 2015. (2) Richard Wormser. The Rise and Fall of Jim Crow. (St. Martin’s Press, 2003), p. 73. (3) G. Flint Taylor. The FBI COINTELPRO Program and the Fred Hampton Assassination. The Huffington Post. 2013. (4) Jakobi Williams. “The Original Rainbow Coalition: An Example of Universal Identity Politics.” 2015. (5) Lee Sustar. Jesse Jackson and the Rainbow Coalition. 2013. (6) Jesse Jackson. Rainbow Coalition Speech. July 18, 1984. (7) San Francisco Travel. A Brief History of the Rainbow Flag. 2017. (8) Barbie Zelizer, “Reading the Past Against the Grain: The Shape of Memory Studies,” Critical Studies in Mass Communications (June 1995): 214-39.